Korea TESOL will hold its 2012 International Conference on October 20-21 at Sookmyung Women's University, Seoul, Korea. 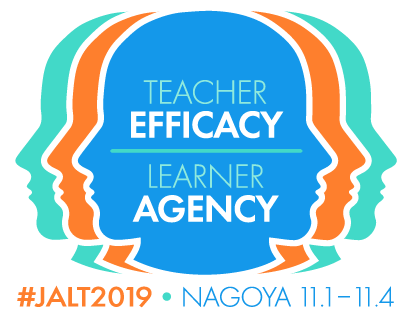 The KOTESOL 2012 International Conference is a forum for educators to share their ideas, innovations, experience, action research, and major research findings. This year, KOTESOL is exploring a more out-of-the-box approach to the conference and to TESOL in general, with particular emphases on technology and the teaching community. This is reflected in the Conference theme: Perfect Score: Methodologies, Technologies, and Communities of Practice. 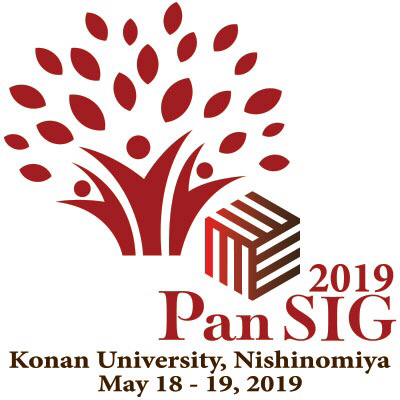 Under this theme, KOTESOL is planning a conference which will have people going away with practical applications, useful experiences, and fresh ideas. 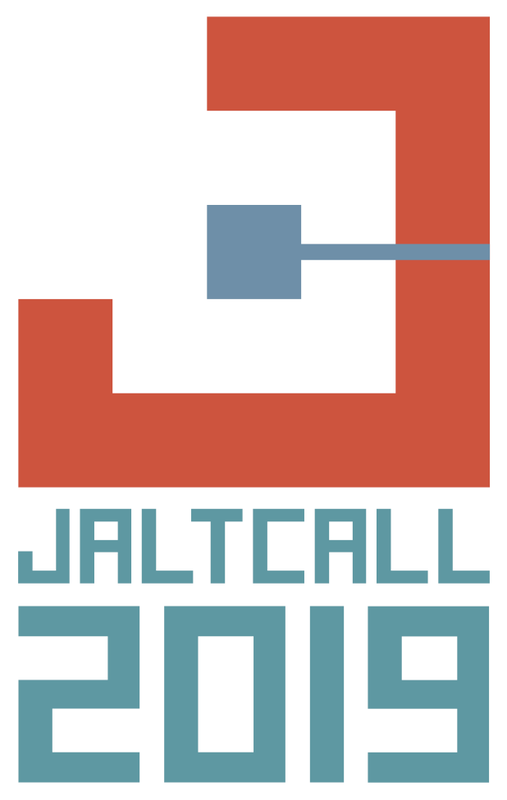 We invite proposals for workshops, colloquia, research reports, and poster presentations. As begun last year, we again invite presentations for the 101 Series. These presentations will be designed specifically for new teachers. Each presentation will cover the basics of best teaching practices in one area of ELT. Please note: Proposals may come from KOTESOL members and non-members alike. 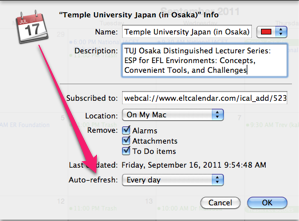 However, all presenters must be members of KOTESOL at the time of the Conference. 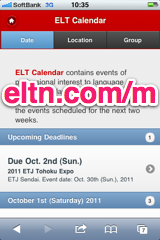 © 2002 - 2019 ELT Calendar | Contact | Submit Event | Webmasters: Put events on your site | RSS | Friday, April 26th, 2019, 2:46 PM Japan local time. | 84 upcoming events listed; 7474 past events.